The music video premiered Friday, Dec. 1, at the Fargo Theatre to raise awareness about Fargo Police Department’s community trust program, an effort to build trust and understanding between police and the neighborhoods they serve. “We do a lot of community engagement all year to encourage people, love people and show transparency,” said Fargo Police Officer Michael Bloom, who was the featured community trust officer rapping in the video. Fargo Monthly sat down with Bloom and fellow community trust officer Matthew Niemeyer to discuss the making of the music video and the hopeful impact it will have on the community. If you’re interested in supporting the Fargo Police Community Trust Officer program, visit impactgiveback.org. Tell me a little bit about the music video and why you decided to make it. Michael Bloom: Officer Matthew Niemeyer and I work with a lot of the kids from the Jefferson Elementary School neighborhood. And then we also had those relationships with kids at Fargo South High School. Basically, kids all over the city. We had an event called Fargo United last September and two large Party In The Park events that we do to unite all members of the community. It’s just to bring people together from all backgrounds. Then we had a musician we used called DPB. He’s the hip hop artist in the music video. We collaborated with him and came up with this idea to write a song and make a music video. So we wrote this song called “Unity” and we recruited several students from Jefferson and Fargo South to be in the music video with us. It kind of just came together as this community project part of Fargo United. That’s why the song is called “Unity,” because it’s just us doing what we love to do and that’s working with people. Why did DPB get involved in making the music video? Bloom: Because that’s his heart. His heart is really about uniting a city. He’s all about changing the culture and not going with it. He’s very positive and uplifting. He’s been doing this for 20 years. He lives in Alabama and does community outreach. We’ve been collaborating with him for about 2 years for Fargo United events. So he and I started rapping last year at the events and it kind of just took off. So then we proceeded to make a music video. What were the kids’ reactions to being involved in the music video? Matthew Niemeyer: They were just excited to be in a music video. That’s really the extent of it. Bloom: These are kids we knew very well, so we didn’t have to recruit very hard because we’ve built relationships with these kids for about a couple years now. They were kind of shy because they didn’t know what dancing in front of a camera that’s moving with them would be like. But when you see the music video, the kids make it amazing. They’re doing their moves and having fun. How do you feel the music video will impact the Fargo-Moorhead community? Bloom: We hope it encourages other officers in other parts of the country to get engaged in the communities around them using their talents and gifts. Locally, I hope we can use it as a tool to engage our youth better. We just want to reach more kids and get more kids together. In our video, there are African-American kids, there are Caucasian kids, there are Bhutanese kids. So it’s just unity, and that’s our goal. Can you tell us about Fargo United projects? Bloom: We thought with the climate of our nation, not just our community, we saw that there was so much division between minorities and police officers. Long before we’ve become police officers, Officer Niemeyer and I love people. So when we put on a badge, it was no different. This Fargo United event was a way for us to go into neighborhoods in our city and bring people from all backgrounds into one place to engage and encourage them, showing them that we care about them in this community. That was the vision behind in Fargo United. You said you rapped with DPB before, Officer Bloom? Bloom: I do it for Fargo United events. It’s just a way to create transparency. It’s a way to show that there is someone in a blue uniform that can rap music. How do you feel this music video and Fargo United events show the community a different side of the Fargo Police Department? Bloom: Officer Niemeyer has some of the most amazing qualities as a person. Seriously, I don’t know how his heart fits in his body. He’s just an amazing guy. He loves helping kids. He loves helping people. But when you see him, a lot of people would just think, “Oh, that’s a cop.” They wouldn’t know that he would give the shirt off his back. There are a lot of police officers like that in our department. It’s just letting people see us in a different light. Then, hopefully, they would be more prone to engage with us in the future. Niemeyer: I don’t think people are accustomed to this kind of more positive driven content. Every time we talk to people, we are talking about arrests, citations, and those inherently negatively perceived things about police work that are basic functions of our job. One of the things that we have really tried to bring to our program is the counterbalance to that — the positive, good interactions. Hopefully, that can continue to build and grow into not just — for lack of better words — the feel-good, fun activities but to more things where we are really starting to help in a meaningful and significant way for people. So we’ll see how that develops and see what that becomes. But I do think once we start pursuing both ends of that coin is when we are going to be putting the department out in the community with a better foundation. 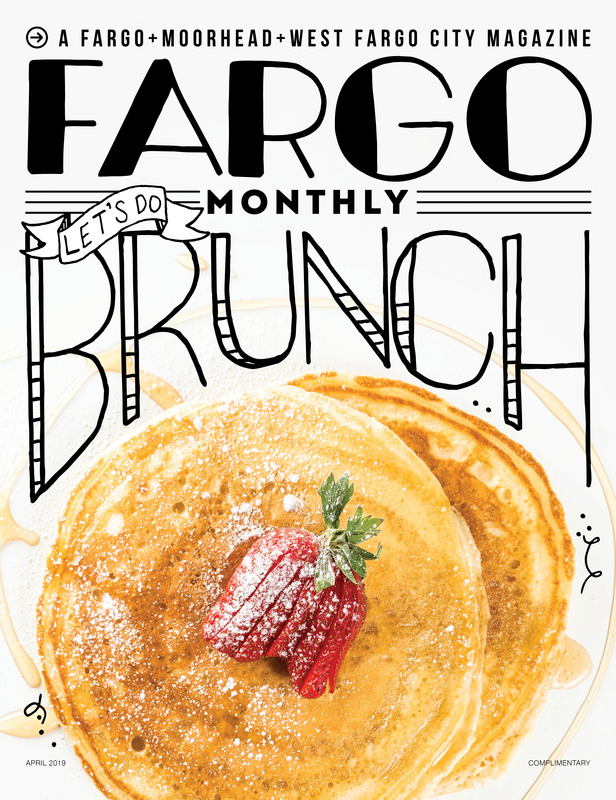 Have you seen an impact so far since you started doing Fargo United events? Bloom: Hugely in those communities. We did an event at Madison Elementary School and the fruit of our labor is amazing whenever we go back. A few weeks ago, I went to Madison to have lunch with kids and they asked when we were going to do another event in the park. We did the event about 2 years ago and they still ask about it. It’s very positive and very good. One year, Officer Niemeyer was in a dunk tank and kids were able to dunk him. They were throwing balls at the thing and he would get dunked into dirty water. He was a trouper. It’s just a way for kids to be like, “Oh, I’ll dunk a cop in some water. It’ll be amazing.” Then they can watch us smile and laugh about it. It’s about the positive engagement.